• Roughly 21 to 29 percent of patients prescribed opioids for chronic pain misuse them. • Between 8 and 12 percent develop an opioid use disorder. • An estimated 4 to 6 percent who misuse prescription opioids transition to heroin. • About 80 percent of people who use heroin first misused prescription opioids. • The Midwestern region saw opioid overdoses increase 70 percent from July 2016 through September 2017. • Opioid overdoses in large cities increased by 54 percent in 16 states. • Every day, more than 115 people in the United States die after overdosing on opioids. • An economic burden of prescription opioid misuse alone in the United States is $78.5 billion a year. One of the places many people are first prescribed opioids is a hospital emergency room. But in one of the busiest emergency rooms in the U.S., doctors are relying less than they used to on oxycodone, Percocet, Vicodin, and other opioids to ease patients’ pain. In a recent NPR report we shared on our Facebook page (“ER Reduces Opioid Use by More Than Half with Dry needles, Laughing Gas”), an unusual program designed to help curb the opioid epidemic by the emergency department at St. Joseph’s University Medical Center in Paterson, N.J., has been exploring alternative painkillers and methods. That strategy has led to a 58 percent drop in the ER’s opioid prescriptions in the program’s first year, according to numbers provided by St. Joseph’s Healthcare System’s chair of emergency medicine, Dr. Mark Rosenberg. Previously, opioid painkillers were part of the emergency department’s first line of offense against pain. Today, opioids are not banned but rethought. Sometimes the best way to reduce the pain from a muscle spasm, for example, is dry needling of a trigger point, not a pill. Patients are experiencing the shift in care for painful symptoms related to various diagnoses, including kidney stones, broken bones and muscle spasms. How can physical therapy change the culture of opioid use? In the world of physical therapy, the profession is known as “the musculoskeletal experts.” At Orthopedic & Spine Therapy, we do not promote that we can cure kidney stones or broken bones, but we can give care for muscle spasms, as well as most all musculoskeletal aches, pains, and disorders. This applies to acute pain, pain that has been present for three months or less, and chronic pain, pain that has lasted greater than three months. I will argue that as opposed to going to the emergency room with a musculoskeletal disorder, in a direct access state such as Wisconsin (you can see a physical therapist without a physician’s referral in most cases), one should go to the physical therapist first, providing the person is not coming from a serious accident, fall, or contact injury. A physical therapist is able to diagnose a musculoskeletal disorder and quickly develop a treatment plan. Immediate treatment is able to be performed to reduce the restriction that is the cause of the pain. Specific instructions regarding protection of the involved bodily region, exercises, and home care are provided. And the cost is substantially less than an intervention at the emergency room! And yes, many therapists are the experts in dry needling. It is great to see that medical sites that commonly utilize opioids, like emergency rooms, look at alternatives to relieve patients of their pain. 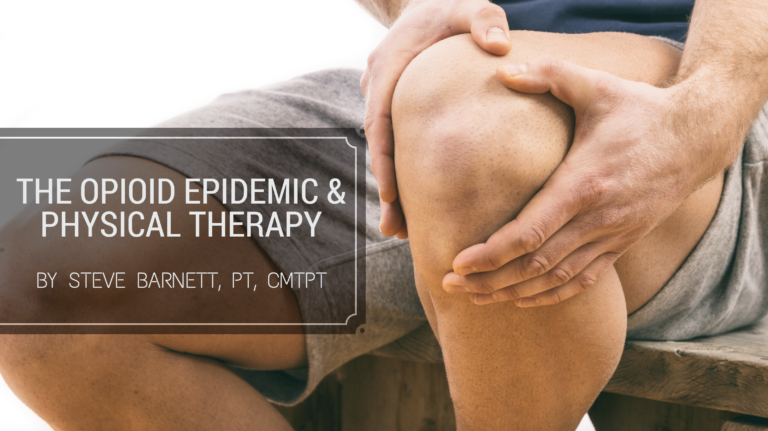 As a profession, physical therapy needs to get the word out not only to the doctors but also the potential patient population in our country that there are safer alternatives for many acute and chronic musculoskeletal disorders as opposed to opioids. 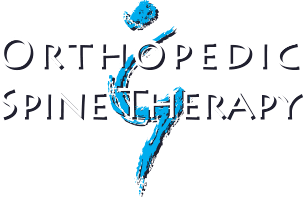 //Steve Barnett is a physical therapist and the owner of Orthopedic & Spine Therapy. He currently treats patients in Green Bay & Menasha, WI.